Abstract: We are building what are probably the world’s largest, most complete data resources for understanding human behavior and social evolution. As part of the UN Sustainable Development Goals program, we have worked with Orange, AFD (France), PARIS21, UN, etc., to develop and deploy the OPAL (Open Algorithms) system that combines live data from telcos, banks, health, etc., to enable every nation to have a constant, up-to-date picture of aggregate human behavior. As part of the Kavli HUMAN project we have begun to measure everything from microbiome to social distances to medical records for 10,000 New Yorkers over the next 30 years, providing the first statistically balanced, contextually rich picture of human health and development. Similar efforts are underway in financial and legal spheres. These efforts are already revealing new computational, actionable insights into innovation and the business of science, and suggest a new path for government to ensure progress of prosperity and human understanding. 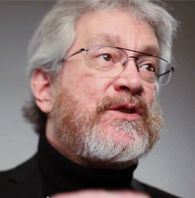 Bio: Professor Alex “Sandy” Pentland directs the MIT Connection Science and Human Dynamics labs and previously helped create and direct the MIT Media Lab and the Media Lab Asia in India. He is one of the most-cited scientists in the world, and Forbes recently declared him one of the “7 most powerful data scientists in the world” along with Google founders and the Chief Technical Officer of the United States. He has received numerous awards and prizes such as the McKinsey Award from Harvard Business Review, the 40th Anniversary of the Internet from DARPA, and the Brandeis Award for work in privacy. Over the years Sandy has advised more than 60 PhD students. Almost half are now tenured faculty at leading institutions, with another one-quarter leading industry research groups and a final quarter founders of their own companies. Together Sandy and his students have pioneered computational social science, organizational engineering, wearable computing (Google Glass), image understanding, and modern biometrics. His most recent books are `Social Physics,’ published by Penguin Press, and ‘Honest Signals‘, published by MIT Press.